Today’s customers are smart . . . possibly the smartest they’ve ever been. They live in smart homes, wear smart watches, and use smartphones. Their lives revolve around the technology they use, and they know how to get the most of it. They are well-versed in the world of the internet, and are becoming increasingly more independent with the help of these new resources. The same goes for your dealership’s customers. When they come into your store, they are much more educated than they used to be because they spend so much more time conducting research online. In fact, 75% of the average person’s shopping process is spent online. By perusing dealership websites, social media platforms, review sites, and more, they fine-tune what they’re looking for and what they’re not interested in. They build expectations about what they assume will be the pricing and buying process of their vehicle of choice. With all of this knowledge, they walk into your showroom ready to move forward. They are less interested in being given a tour of your inventory, and more interested in getting answers to their questions. Shoppers have begun taking advantage of this knowledge. They know that they can learn almost everything on the internet, and avoid speaking to customer service representatives accordingly. Millennials in particular have embraced this independence—according to one study, 34% would rather have their teeth cleaned and 26% would rather go to the DMV than call customer service. They know that they can get information online, and therefore always look for it before contacting a business or store. As a dealer, you need to keep up with your shoppers. As they become increasingly smarter, you should find ways to both provide them with what they want while simultaneously gaining information of your own, to stay one step ahead. There’s no limit to what you and your dealership can and should learn, but there are a few areas of utmost importance to your shoppers, which makes them of utmost importance to you. As we know, customers come into your showroom knowing what to expect and what they want. To provide them with this, you need to know even more about them. This doesn’t mean you should spy on them—instead, utilize advances in website tools and AI to learn what website visitors are interested in. Some CRMs actually make use of artificial intelligence to gather all of the data you might want. Either way, your CRM should be full of information detailing the pages customers visited, how long they spent on each page, and where they converted. Armed with this information, you can match a shopper’s knowledge about your inventory by creating a highly personalized buying process based on their preferences. In your showroom, your salespeople will be responsible for creating this experience. Online, AI tools that utilize machine learning and predictive analytics will use the knowledge gained about visitors to show them the most relevant and helpful content. Two words: big data. With big data, a dealership can access insights into the market, its competition, and its shoppers. Big data can help a store recognize when a shopper is in-market, how that person should be approached, and what they want to hear. It also helps dealerships more successfully and pointedly segment lists, so that all of their marketing efforts can be hyper-targeted. By having access to all of these data points, dealerships have the ability to speak to each customer’s needs, without ever interacting with them. In addition to behavioral and demographic data, industry data is vitally important for dealerships to track. From a market perspective, for example, you can determine what vehicles perform best in certain regions at certain times, which can inform your overall strategy and focus for the upcoming season. In addition, competitive market research can and should be conducted to ensure that you are staying ahead of the other dealers in your area. Use data to determine what they’re doing, and if it’s working. If it is, think about ways to replicate and improve upon their strategies. If it isn’t, think of ways to take advantage of holes in their strategy by providing something they don’t. This isn’t possible without access to data. Staying ahead of your customers is also important in terms of actual knowledge they gained throughout their research. 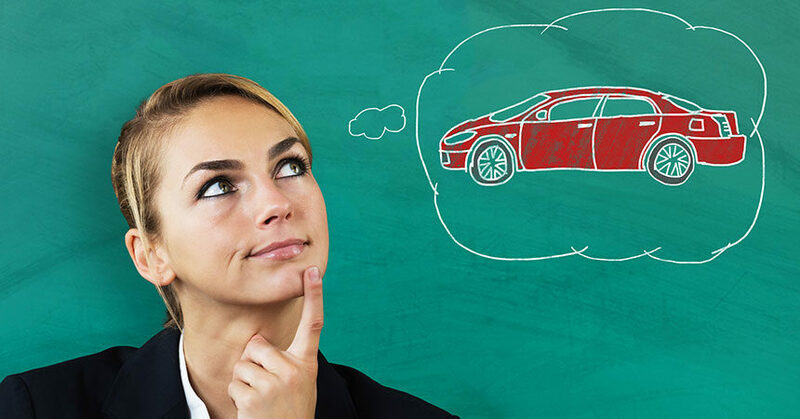 Consider car buyers’ mindset: They are about to spend a lot of money on a purchase, and want to be sure that it is exactly what they’re looking for. The internet provides them with all of the information they need. If they then come into your store and ask about technology that they’ve heard about, they’ll be disappointed (and unimpressed) if their salesperson isn’t an expert on the topic. Be sure that your entire team is up-to-date on the latest automotive technology. Consider offering monthly training sessions or sending a bulletin or email that details important new technology coming to your dealership. Being a smart dealership requires utilizing every piece of information available to you—whether in the form of lead details, big data, or industry updates. It’s a lot more than simply knowing something, though. Truly smart dealerships have access to this information, then make use of it to improve a customer’s experience, optimize marketing strategies, and reach more shoppers. 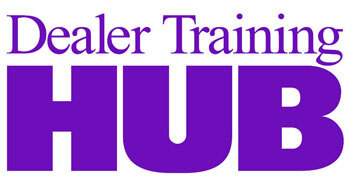 The more knowledge a dealership has, the more educated all of its decisions will be, and the more cars it will sell.